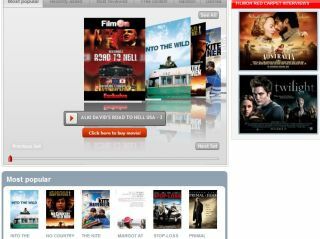 UK-based video-streaming site FilmOn, which offers HD TV shows and films on a subscription basis, has hit a snag with its launch in the US. Although it has only been live for a week in America, the website has been hit with a lawsuit for copyright infringement. The lawsuit has been backed by a number of big-named broadcasters including CBS, NBC, Universal Network Television, KNBC-TV, Twentieth Century Fox Film Corporation, Fox Television Stations, ABC Holding Company, and Disney Enterprises. FilmOn offers premium channels you would expect to find through cable and satellite but on the internet. The company feels it has done nothing wrong, as it says it is authorised to make retransmissions, but the major studios in the US seem to disagree. Speaking to the Hollywood Reporter, owner of FilmOn Alki David said: "Without a doubt, the Copyright Act upholds what we are doing. "There is no difference between the Internet and satellite. There's little difference between having a digital television box (and having television delivered through a computer). "It's all just semantics. People need to stop being afraid of opening up doors to digital technology." David also noted that while he contacted the networks before putting the HD feeds on the web, they ignored him.